When it comes to being present in the best locations, we couldn't leave out the Silicon Valley of India! With companies like Google, Microsoft, IBM and Dell coming in for the pool of the best talent, it is also the city where some of the best ideas are born - it boasts of more than 1700 start-ups! 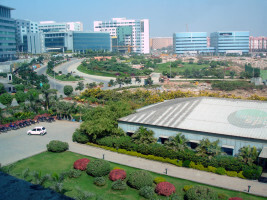 Located in the heart of Gachibowli, InstaOffice Hyderabad is the perfect place for freelancers and entrepreneurs alike. With a plethora of amenities at your disposal, we strive to ensure that your time and resources are not spent on unproductive tasks. People coming together as a community opens up new windows of opportunities for everyone. 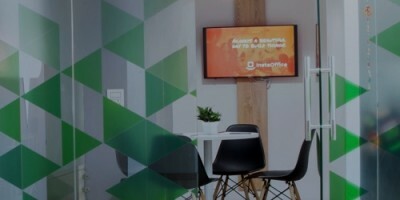 Working from InstaOffice coworking spaces gives you an access to a well-networked and vibrant community, regular events, mentor interactions and much more. Our members enjoy perks from various partners who, with their offerings and exclusive discounts, make sure that the community gets the best out of their time with InstaOffice. InstaOffice brings you a range of solutions that can meet a diverse range of needs, including privacy, hierarchy, networking, etc. We leverage economies of scale to make our solutions affordable for all kinds of businesses. You can choose the configuration you like, depending on the specific needs of your business. Because of our ability to adapt to different sets of needs, we are not an interim solution provider. We offer a long-term economically viable solution for all your office space requirements. For most entrepreneurs and small businesses, business centres tend to be too expensive, while co-working spaces do not offer the right degree of privacy for a growing or established business. We also know that our customers don’t want to be held back by poor quality services. This is why, for a single, all-inclusive price, all our customers get access to standardized, high quality services across the board. If I choose to work from a business centre or a co-working space, what services are included in the price? Any special requirements you may have besides these can be covered by our additional services (available on a pay-as-you-go basis) that include meeting room usage, runner support, telephone services, etc. For individuals, we require a photo ID and address proof for all users. For companies, we additionally need a copy of their PAN card as well as a copy of the Memorandum of Association (MoA). What is a hot desk? Hot desks are based on the sharing workplace model which replaces conventional designated workstations with flexible ones. By opting in for hot desks, you can choose where and when to work according to your convenience. I am a freelance designer. How can I benefit from your services? If you’re looking for peace and quiet to work on your latest project, our private offices may be just the thing for you. On the other hand, if you miss the bustle and energy of an office space, but are not sure how much time you need, our flexible desks are a great option for you to explore. Give us a call at 995 856 3555 or drop in for a chat and we’d be happy to help you find the best space for you! Why should I choose co-working over a conventional office? Co-working spaces provide a far more economical solution to your office needs, as compared to conventional offices. They also take away the hassles of renting and maintaining an office, allowing you to concentrate on your business. 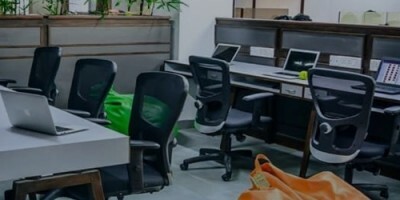 Apart from that, co-working solutions also provide a platform for you to interact, connect and grow with like-minded people from your industry or other related industries. How can I organize meetings in a co-working space? Organizing any kind of meeting (team meets, board-room meetings, audio conferencing, etc) in a co-working space is completely hassle-free. With our online booking tool, you can conveniently book a meeting room at any time. Additionally, drop us a line at info@instaoffice.in and our concierge would be happy to reserve a meeting place on your behalf. What kinds of users generally use co-working? Co-working spaces are used by a wide spectrum of users, and are particularly popular with entrepreneurs and freelancers. What if I hire more people? We understand the changing dynamics of businesses, and so our co-working solutions are fully scalable. At any point, should you choose to scale your workforce up or down, just let us know. We would be glad to provide an appropriate solution for your needs.